ALREADY teeming with talent, Hapee Toothpaste still wants to fortify its roster. Team manager Bernard Yang said the team has included National University star Troy Rosario as part of its wish list when the Fresh Fighters makes its PBA D-League debut in the coming Aspirants Cup. “Gusto sana namin din siya makuha sa team,” Yang said during the press conference launching the new D-League team on Thursday at the Lamoiyan Corporation headquarters in Parañaque City. 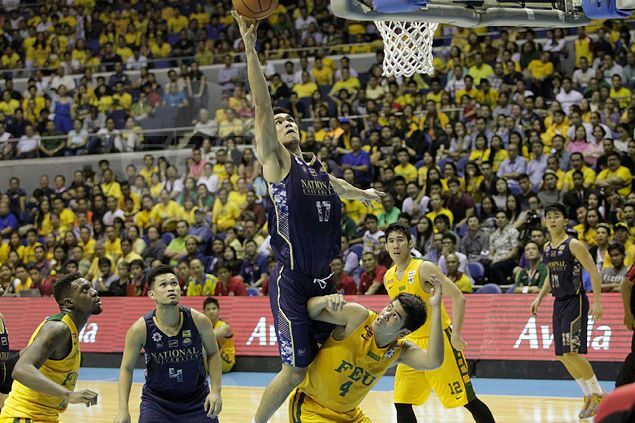 Rosario is currently in the middle of the UAAP Finals as the Bulldogs and Far Eastern University Tamaraws are locked in a tight best-of-three series that is currently tied at 1-1. The NU big man previously played in the D-League with the NU-backed Banco De Oro squad a few conferences ago. Even without Rosario coming on board, Hapee is already loaded with a powerhouse cast that has Arnold Van Opstal of La Salle and Ola Adeogun of San Beda manning the frontcourt. Also in the roster of coach Ronnie Magsanoc are Rosario’s former NU teammate Bobby Ray Parks, Gilas cadet standout Garvo Lanete, and Chris Newsome of Ateneo. Hapee took over the franchise left by NLEX, which is now campaigning in the PBA. The season-opening Aspirants Cup is set to open on October 27.